Tremendous opportunity to enhance the income on this freehold investment. Located under 1 mile from Shifnal Town Centre and 2.5 miles from the M54. Established planning consent and Licence for Waste Management for the processing of vehicles. 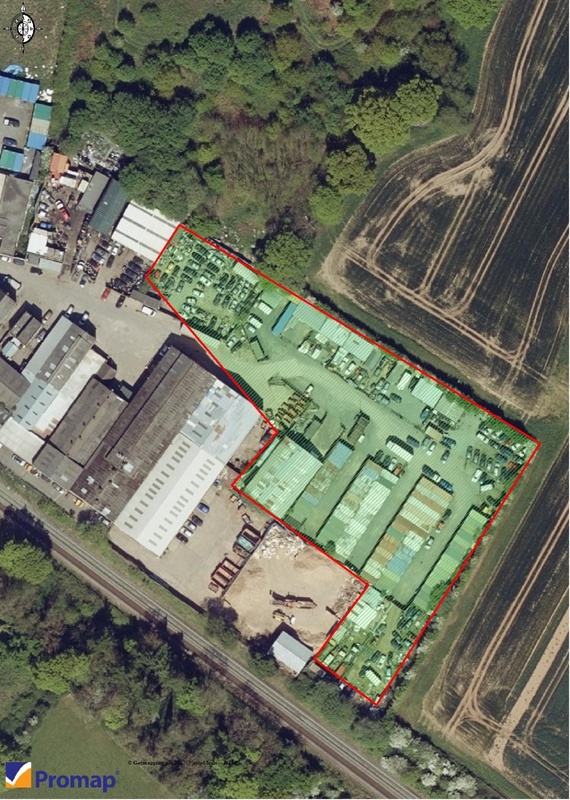 Offers over £800,000 Freehold to include the business, site, premises and storage containers. Located on a small, long established Industrial Estate, under 1 mile from Shifnal Town Centre. Shifnal is a popular and busy town located approx. 4 miles south east of Telford with Junction 4 of the M54 only 1.5 miles. Wolverhampton is approx. 15 miles via the A464. The property consists of a secure compound incorporating 92 self storage containers and 6 industrial units on a site area of approx. 1.72 acres (0.69 hectares). The 6 commercial units are all understood to have mains electricity and water, with portable toilets on site and comprise a total of approx.. 6,150sqft (571.4 sqm). The site has several security systems that are included in the sale: CCTV, Steel Perimeter Fencing, Gates and Floodlighting. The site is also understood to benefit from planning consent and a Licence for Waste Management for the processing of vehicles. One of which is sub-divided into 38 indoor units.